1996-1999 Honda CBR900RR Fireblade lowering kit SC33. Rear suspension lowering kit made in roll forged steel by Lust Racing in Great Britain. 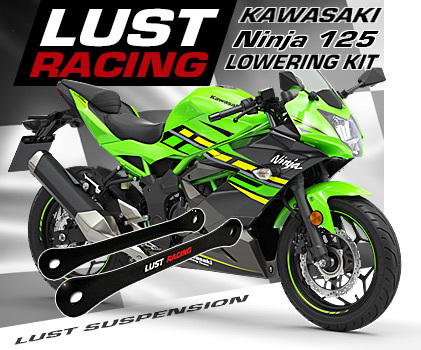 This lowering kit will last the life-time of your bike! Lowers the rear suspension by 1.2″inches. Lower seat height, lower center of gravity, supplied with installation instructions. Lowers the rear suspension and the seat height. This lowering kit replaces the triangular suspension brackets on the Honda CBR900RR Fireblade. You keep the strong genuine Honda suspension link with needlebearings and just replace the brackets with these new stronger lowering brackets from Lust Racing. Made in roll forged steel, stronger than standard Honda suspension brackets. Powder coated black, Lust Racing logo in silver and red. 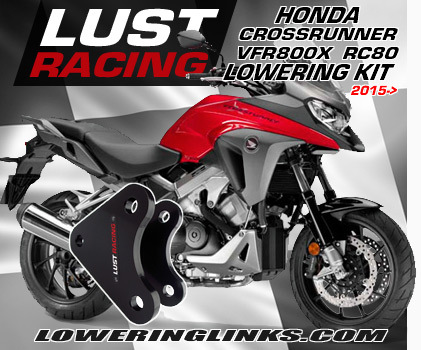 The lowering kit fits Honda Fireblade CBR900RR bikes of type SC33 manufactured from 1996 to 1999. Easy installation, instructions included. For excellent handling the front forks are adjusted upward in the triple clamps when this kit is installed, no additional parts required – pure adjustment. 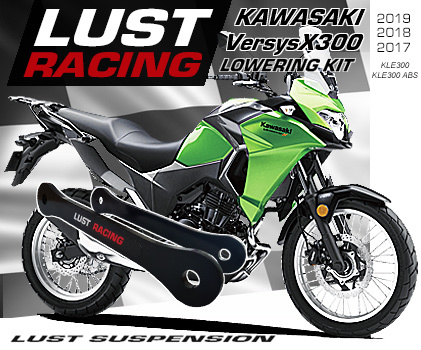 How to install the rear suspension lowering kit and how to adjust the front forks covered in the installation instructions. *Free shipping offer valid only in conjunction with purchase, please see our terms.